Task management can be messy, especially when you are dealing with many different tasks for a number of different departments. This is especially true in human resources departments, where there will often be conflicting deadlines, and many operations that can only be completed when you have received information from external sources. As such, the traditional combination of sticky notes, emails, spreadsheets and hurriedly scrawled notes made when on the telephone are likely to lead to confusion, delay and missed deadlines. However, your HR department is essential to the daily running of your business, from hiring and firing staff, to dealing with the complex legal rules and regulations surrounding personnel, and any mistakes made can have very serious consequences. As such, any methodology that can be utilised to improve the efficiency of your HR department will have largescale benefits for your company. In the digital workplace, a new breed of software has evolved which can make the day-to-day operations of HR teams far easier and more effective: task management software. Task management software is specialised software that helps with the process of managing a task throughout its lifecycle, from conception to completion. Task management software allows you to create a visual representation of the task and its individual components, along with estimated deadlines, and lets you track progress. It breaks down the task into its individual components while allowing everyone to be fully informed on the plan of action, and the task’s current progress rate. This can be done in a number of ways. From simple ‘to do’ lists, to flowcharts of operational processes with allotted deadlines, task management software can be accessed by every member of your HR team. This allows for ease of collaboration on tasks, while also allowing for a central source of information on the stage of each task in the department. 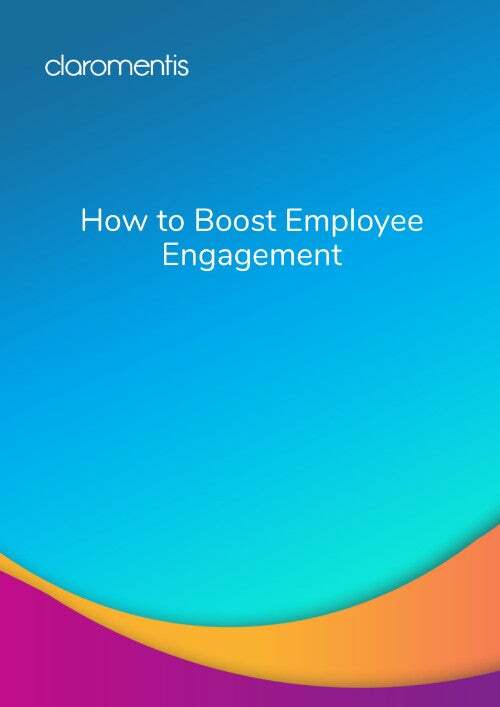 This significantly speeds up tasks and means that everyone can be fully informed at any time, without having to seek out the team member in charge and using their time to get a verbal report. 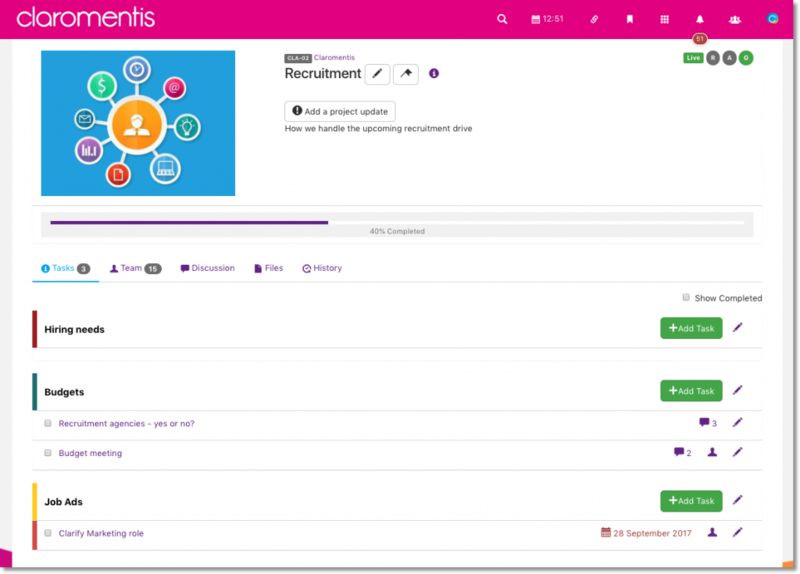 What features should my HR task management software have? 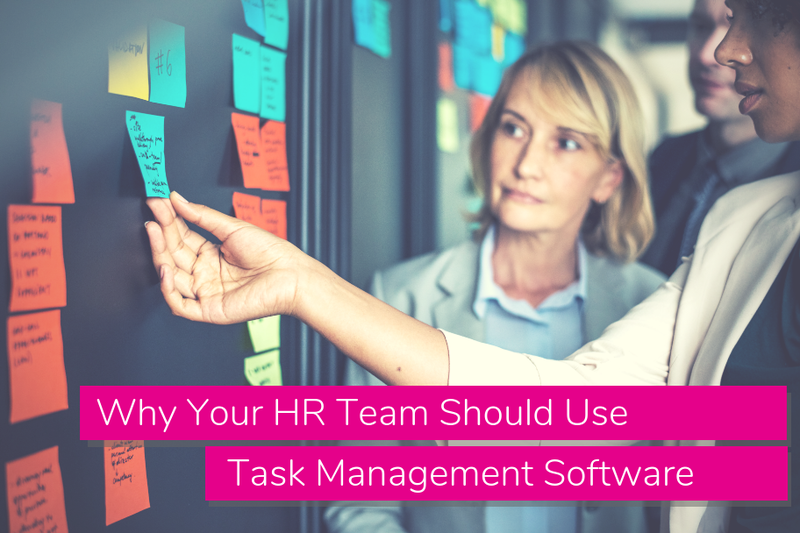 While there are many different types of task management software on the market, it is important to fully understand the features that your HR department needs, in order to ensure that you choose software that can help to optimise your HR team. 1. Real-time updates. Your team should be able to alter and edit the status of tasks at any time, and these updates should be immediately visible to everyone else connected to the software. 2. Timeline management. You should be able to allocate a timeline to all of your tasks, and edit these as and when necessary. 3. Priority features. The software should include features which make it obvious which projects are the most important, and highlight the urgency of the individual components of the task. 4. Assignment of tasks. The HR team leader should be able to assign different tasks to different people through the task management software, and these people should receive notifications that they have been assigned work. Equally, there needs to be an easy way to let managers or other team members know that you have completed a piece of work so that the people responsible for the next stage of the task know that they need to start their component. 5. Document management. You should be able to easily upload and download files to a portal within your task management software so that everyone can access all the relevant information to complete the task on time. These should be organisable into folders, categories and should be taggable, along with being associated with meta-tags. Task management software allows your HR team to significantly increase their efficiency and productivity on a day-to-day basis. By choosing the right task management software, you can provide your HR team with a complete solution that allows them to plan, allocate, track and collaborate on complex tasks by breaking them down into their component parts. Not only will this enable the more efficient handling of tasks, but it will also reduce the risk of mistakes being made, saving you time, money and resources in the long-run.